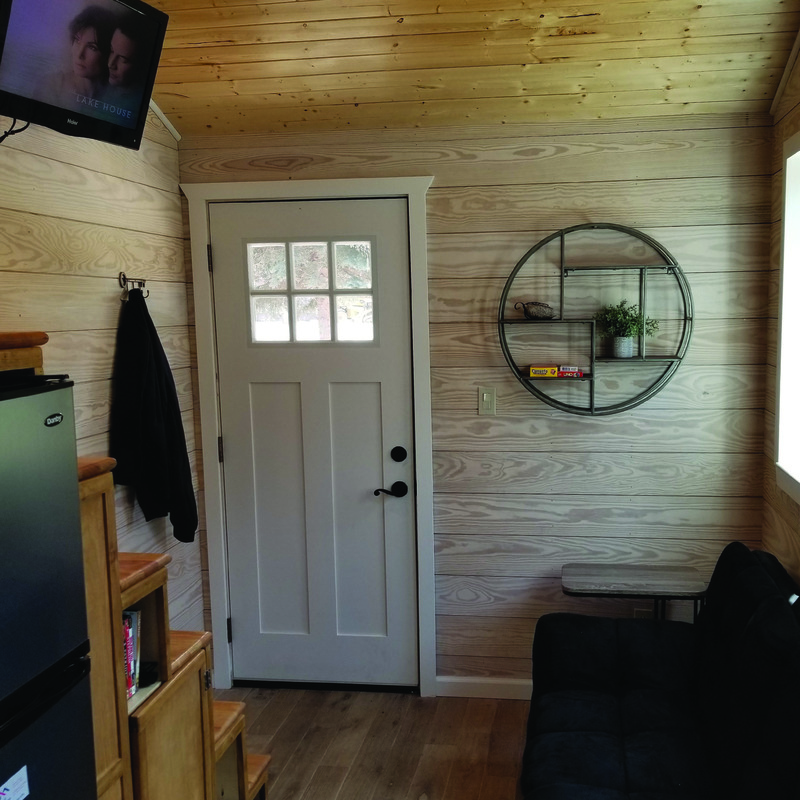 The Cheyenne tiny home sleeps up to 4 with a sleeper sofa on the main level and a queen size bed in the spacious loft complete with a closet. Kitchen includes a 3/4 size fridge, induction cooktop, microwave plus a wall oven! 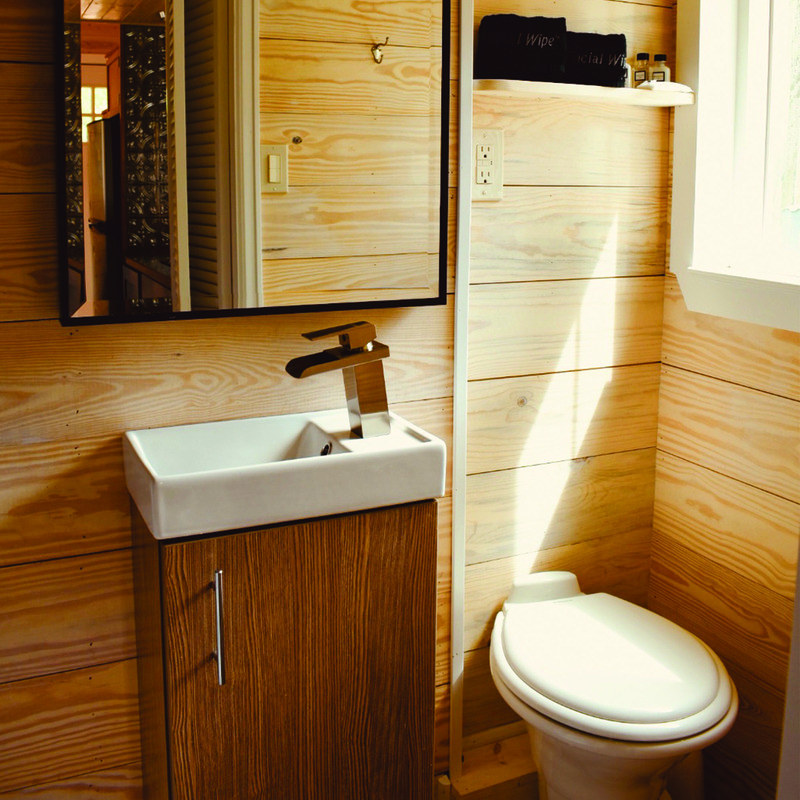 Bathroom features a shower, flushing toilet and sink. Smart TV on the main level. The front entry is enhanced by a 8' x 6.5' deck. We rented out all 22 homes for our wedding at River Bend in September 2018 and they exceeded our expectations. Not only is each home so delightfully unique, but immediately people got to know each other because they would just ask for a tour of their home. Wee Casa was a bigger hit than we expected. It is all walking distance from downtown Lyons, easy drive to RMNP or Boulder and captures the Colorado beauty and hospitality in a wonderful (wee) package. From booking to check-in, everyone we encountered was kind, generous and service minded. We had #11 which was great, but certainly the Sequoia (#2), Rocky Waters and the Empty Nester all stand out. 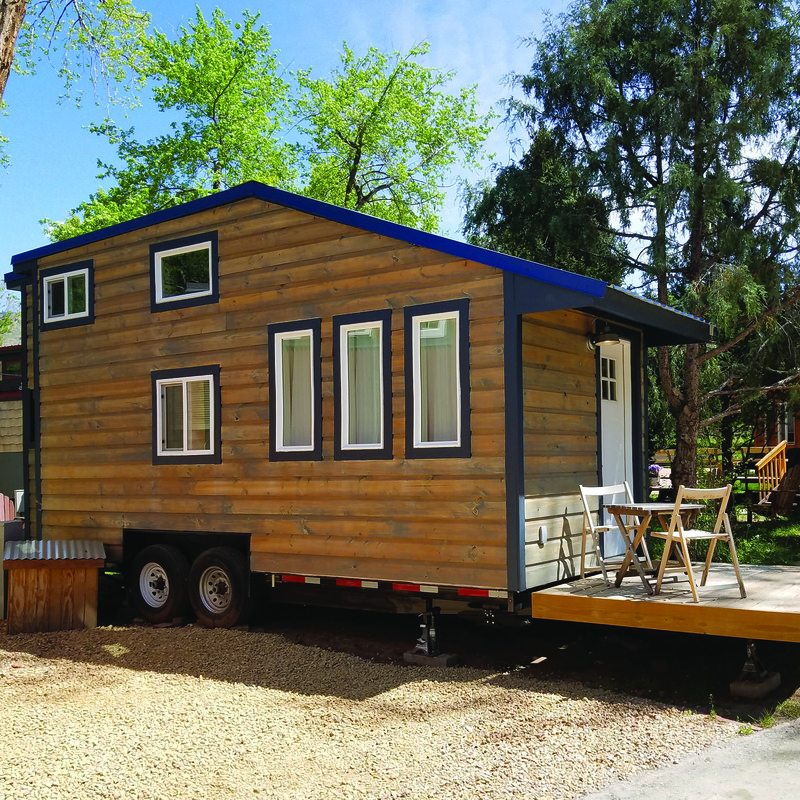 If you are a tiny house enthusiast, this is definitely worth visiting. 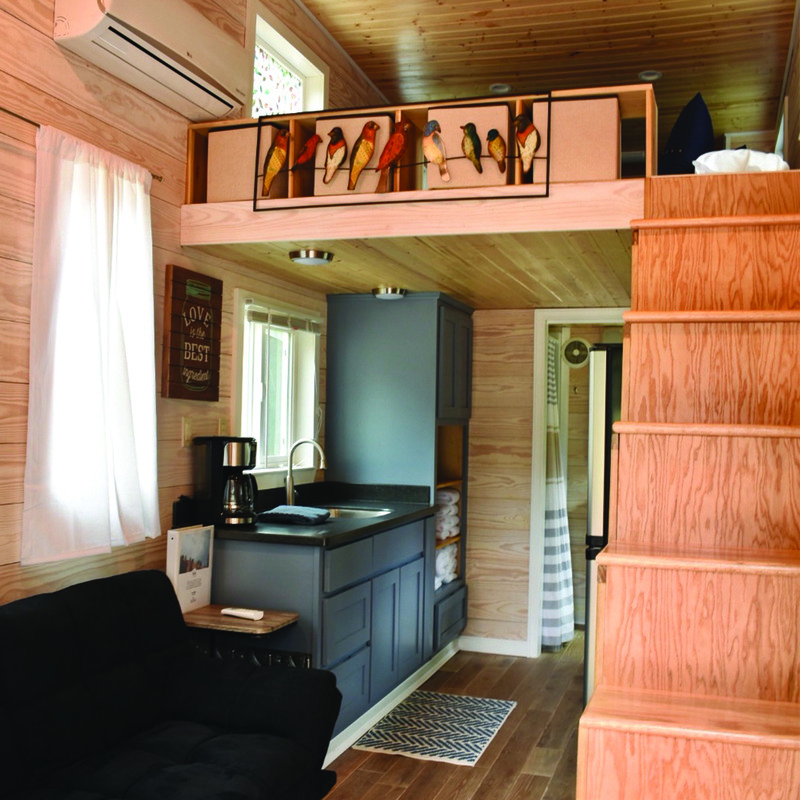 The tiny homes are beautiful and the WeeCasa staff members are amazing! The site is gorgeous with a creek flowing behind it. Beautifully landscaped and has fire pit(s). Definitely will visit again! My grandsons, 16 & 14, loved our two nights at WeeCasa! They spent our days cliff jumping and tubing on the St.Vrain - just steps from our WeeCasa Roaring Fork. The water was refreshingly cool, the sun warm, and we slept comfortably and soundly. Day two was filled with a walk around Lyons, then rock climbing in Estes Park. A wonderful spot on the planet! Thank you for your hospitality WeeCasa! Why stay at a hotel? Beautiful spot a 3-min walk from downtown Lyons. 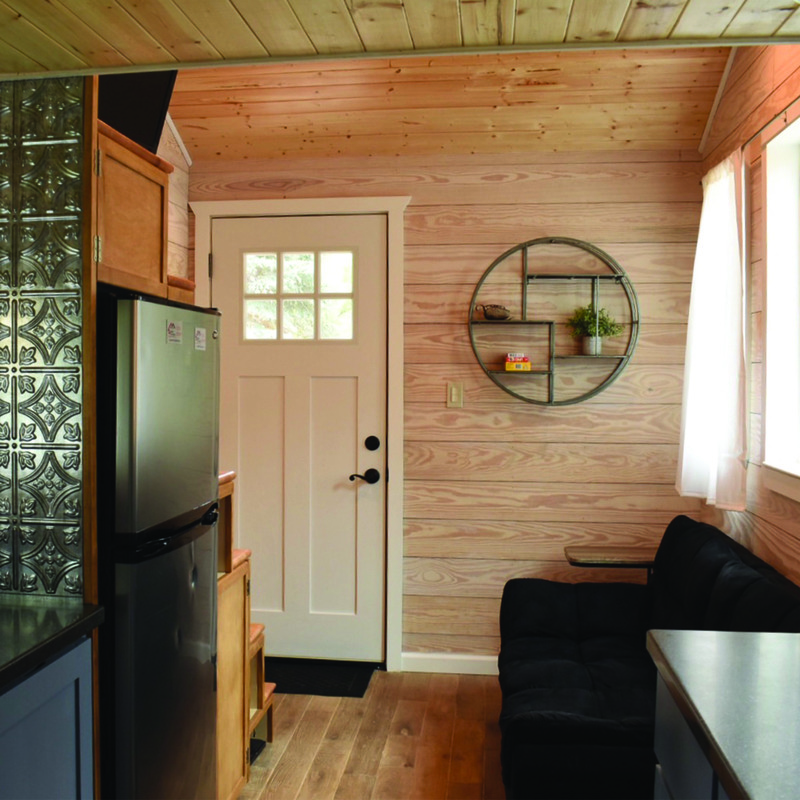 Tons of variety between 22 different tiny homes. I stayed in #19 (Salida / Man Cave), which was very nice. Sam, the property manager, is a great source of information if you're researching buying a tiny, and is a great guy too - goes out of his way to make sure your stay there is good. 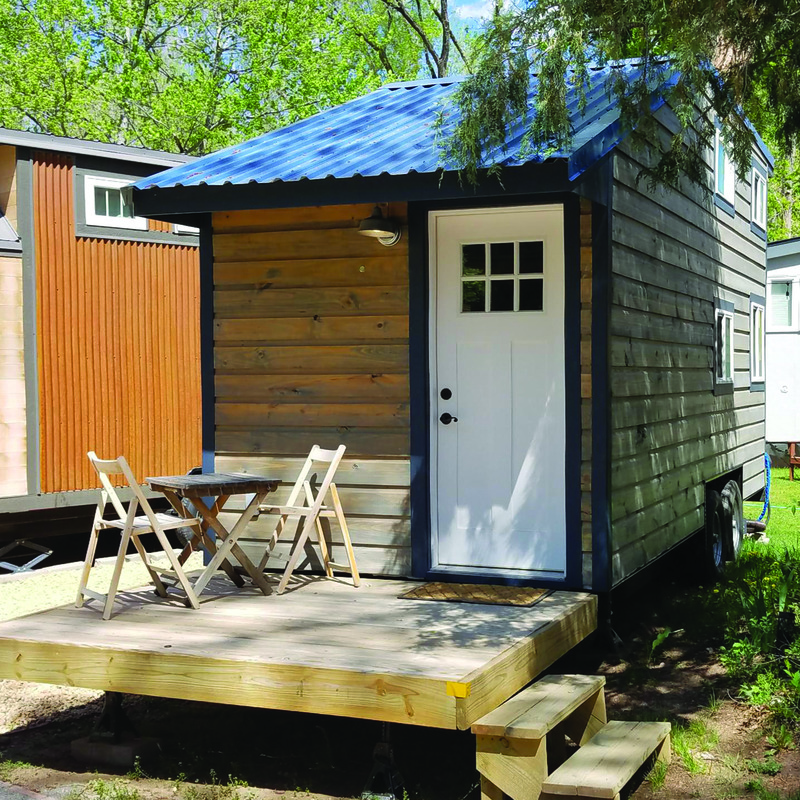 Wee Casa is the cutest little village of tiny houses, perfectly nestled in a gorgeous valley in Lyons, CO. My husband and I and several friends reserved tiny homes at the Wee Casa resort for a wedding and everything about it was perfect! We stayed in The Boulder. 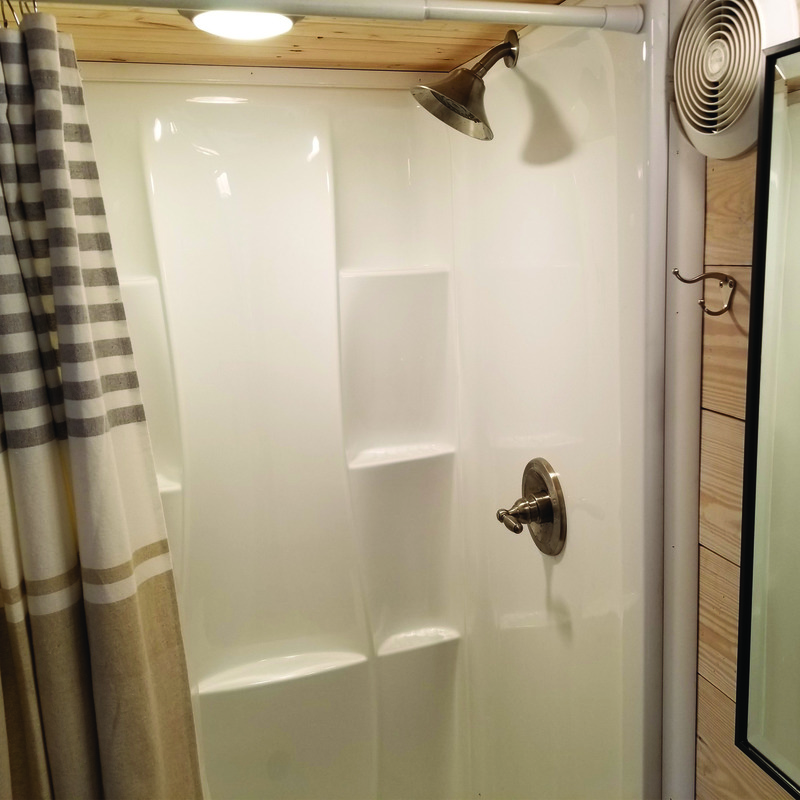 This tiny home is perfect for two adults, complete with an extra long full loft, stand up shower and flushable toilet. Everything you need to cook a meal (minus the food) is in the house. We enjoyed walking around and seeing all of the different tiny houses and enjoyed our outdoor patio space. Wee Casa is walking distance from Planet Bluegrass which is where the wedding was located. You can also easily walk to downtown Lyons. Everything was super clean, the staff was friendly, and we just absolutely loved our tiny house stay! Warning: staying here will make you want to become a tiny house owner! I am convinced that tiny houses allow adults to fulfill their childhood desire for a tree house and WeeCasa has houses in all shapes and sizes to fit personalities of all shapes and sizes. From ultra modern to rustic to fantastical hobbit houses! Located within an hour of Boulder, Estes Park, and Rocky Mountain National Park it's perfect for adventures in the Rockies. The staff were also incredibly helpful and friendly. They even gave us recommendations of places to eat and things to see. My husband and I first stayed in The Atlas (#13) and then The Pop Top (#22). I highly recommend The Pop Top (#22). You can stand up in the lofted bedroom if you are under 5 feet tall. 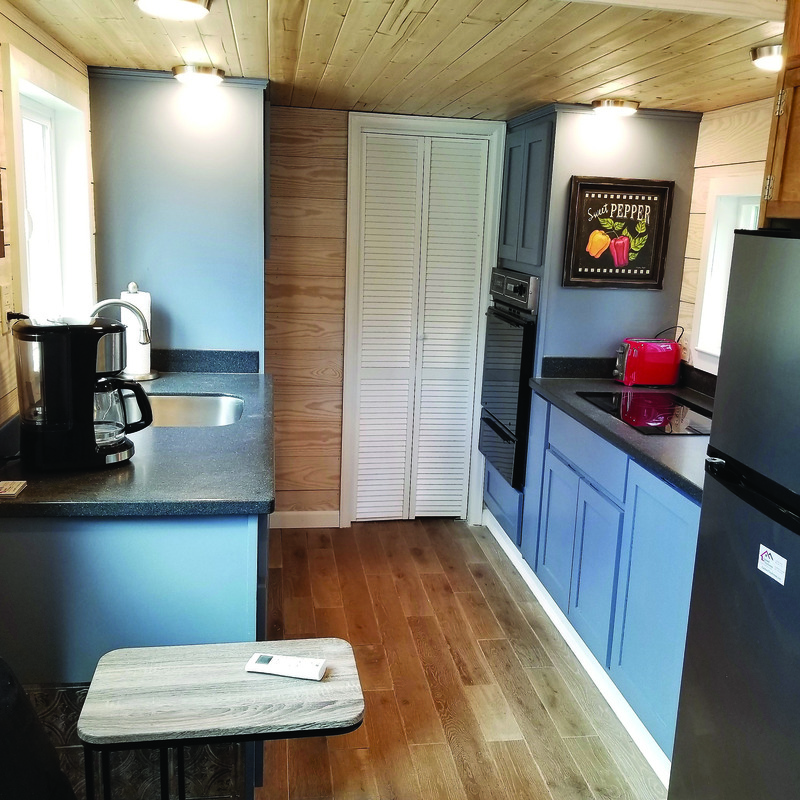 The Kitchen has a full size fridge, 4 burner gas stove, and large sink. It also comes with a fold down table for 2, a love seat, and it's own attached deck with great views of the River Bend and surrounding area. Also, it has a full-sized staircase with railings, which is perfect for small children or people who are not mobile enough to climb ladders. 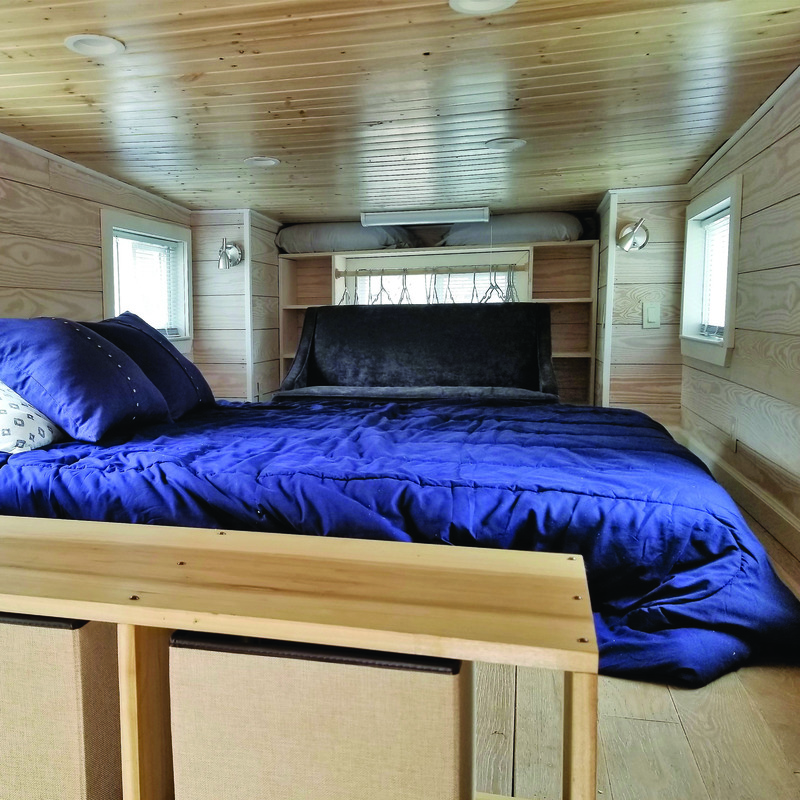 My husband and I had the most exciting opportunity to stay in the WeeCasa tiny home village last weekend (we stayed in tiny home #21 "Pa Dutch") in Colorado's first tiny home village! Pa Dutch had all the amenities of home...just smaller! This home had beautiful decor with clean lines and inviting furnishings! The whole village is steps away from Lyon, CO's magical little downtown. If you're looking for a way to 'get away from it all', Pa Dutch and the WeeCasa village is the place. We had a great time! I am convinced that tiny houses allow adults to fulfill their childhood desire for a tree house and WeeCasa has houses in all shapes and sizes to fit personalities of all shapes and sizes. From ultra modern to rustic to fantastical hobbit houses! Located within an hour of Boulder, Estes Park, and Rocky Mountain National Park it's perfect for adventures in the Rockies. The staff were also incredibly helpful and friendly. They even gave us recommendations of places to eat and things to see.